Hair Fashion Night with L'Oréal Professionel. World wide Hair Fashion Night with L'Oréal Professionnel is coming to Merseyside Best Hair Salon 'Harrison Hair Studio' on Thursday 15th June at 17:30pm. Find your new style, in-salon, with exclusive complimentary hairstyles by the best rated hairdressers in Liverpool. We are looking forward to our clients participating in the event and experiment with new hairstyles. An evening full of high fashion trends and new looks whilst enjoying the atmosphere of this world wide event. Get ready to be blown away by breathtaking style and glamour! Book your appointment today by calling the salon! We have been wanting to try this experiment ever since we were introduced this amazing new product to the salon a couple of month ago, we did this purely to show our clients the benefits and importance of keeping your hair in a peak condition through any colouring process. This picture above shows a prime example of how smartbond works on your hair. On the left side shows a strand test, lifted with blue bleach with a 30 vol peroxide with smartbond added and on the right side, lifted exactly the same but without smartbond. I think you will agree the results are amazing! Smartbond can be added to colour or it can also be used on it's own as a treatment. At Harrison Hair Studio Liverpool we pride ourselves in creating timeless styles with a an aim to keep every clients hair in the best condition we possibly can. We dedicated this award to YOU, our clients! I hope this doesn't sound presumptuous but even before learning of this accolade we knew we where in with a great chance of winning this award. Not because we think we our great or anything along those lines and far from it but because we had the pleasure of going home night after night and reading the reviews you guys where posting on the PamperPad website. They where touching to say the least, some brought me to tears and made me feel so proud of all the work the HHS team and I do. We have won some major awards in the past through our skill and technique, they are special but they are based on one style, one colour, one cut, one event and it's got to be what the judges are looking for on that one night. This award is different, special in so many different ways. The dynamics means so much more to us as this is an award that sums up our day, our month, our year, our life and our relationship with all of you 'our friends', this is your award just as much as ours! To me that last sentence speaks volumes and says all that we need to know. Between me and you I think we won it by a country mile because I don't think there's a salon out there that has anywhere near the amount of amazing clients as we do, we are so lucky to have all of you and we are so appreciative of this! There are too many to mention them all but i'm that proud of them i'm going to start popping the odd one on the website pages. Are you 16-18? Are you thinking about a career in hairdressing? 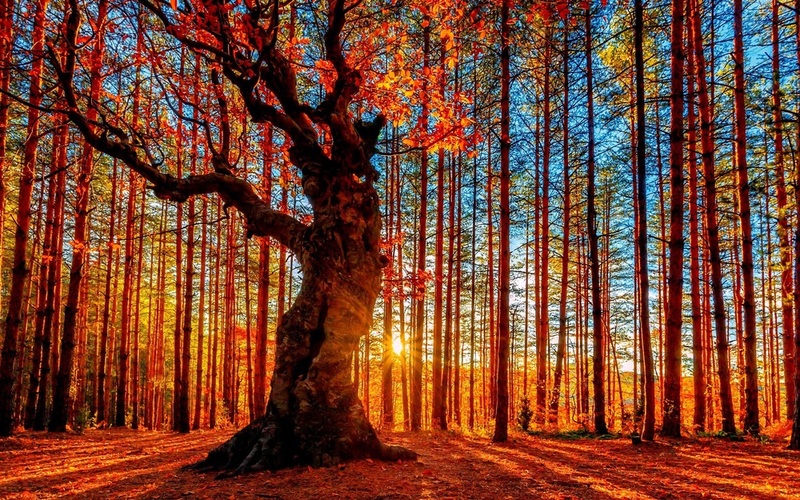 Are you creative and do you love to spread that feel good factor? Become an Assistant Trainee Stylist today! We are looking for enthusiastic people to join #TeamHHS as a salon apprentice. You will be working full time in our salon learning from some of Liverpool's best hairdressers, you will go to college one day a week to study for you hairdressing NVQ Level 2 and receive weekly training in-salon. You will be required to assist in the smooth running of the salon and engage in tasks from sweeping up hair to shampooing clients to assisting stylists in delivering amazing transformative services. Previous experience in a hair salon is not required. However, you must be willing to work hard and have a passion for hair. Must also be a "people person" with an understanding of customer service. We are at L'Oreal headquarters London where we will be recreating our winning "Autumn Sunset" inspired, boho chic look from the Northwestern final. Here we will be scrutinised & judged before they announce the regional overall winner and the national winner at this evenings black tie event at the O2 intercontinental hotel! 5 weeks today until the worlds biggest hairdressing competition and #hhsliverpool's biggest accomplishment to date, the National L'Oreal Colour Trophy Grand Final 2016! We will be there after winning the North West regional final and we will be taking the whole team down to London's Intercontinental O2 Hotel where this years grand final will be held. As we will be staying over this means the salon will be closed Monday 13th June & Tuesday 14th June (2 days), opening again Wednesday 15th June, 9am. Sorry for any inconvenience this may cause. #hhsliverpool's style team with Liverpool model Carly Gordon. 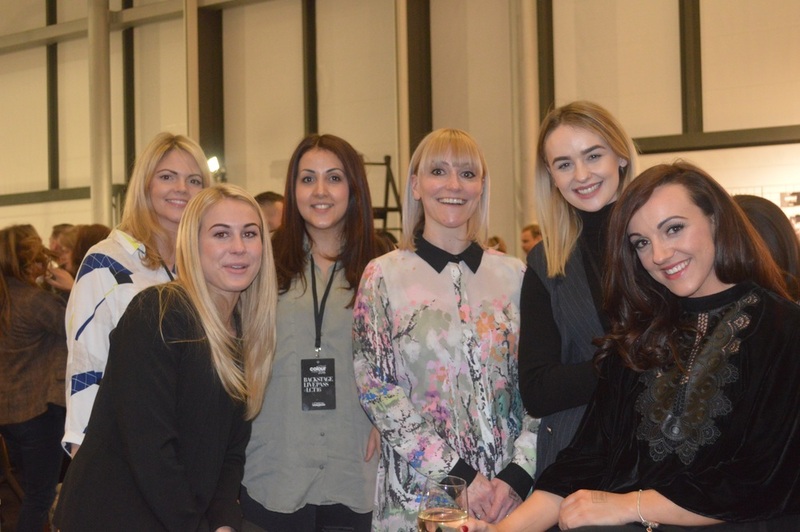 Harrison Hair Studio from Liverpool is celebrating today after winning one of only 4 coveted places in the North Western regional heat of the L’Oréal Colour Trophy Awards 2016. The team, led by Tanya Harrison fought off strong competition and wowed a panel of high-profile award winning judges with their Autumn/Winter 2016/17 fashion inspired look. The team will now have the chance to compete at the L'Oréal Colour Trophy Grand Final event which could see them winning the overall award. 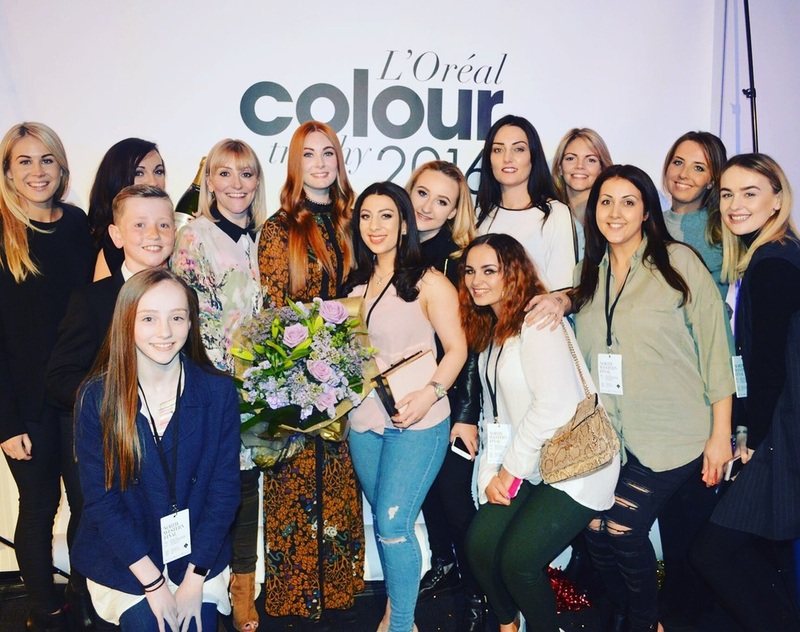 Across 3 weeks in April, the L’Oréal Colour Trophy regional heats have hit 9 regions rubbing shoulders with some of the industry’s talented salons. 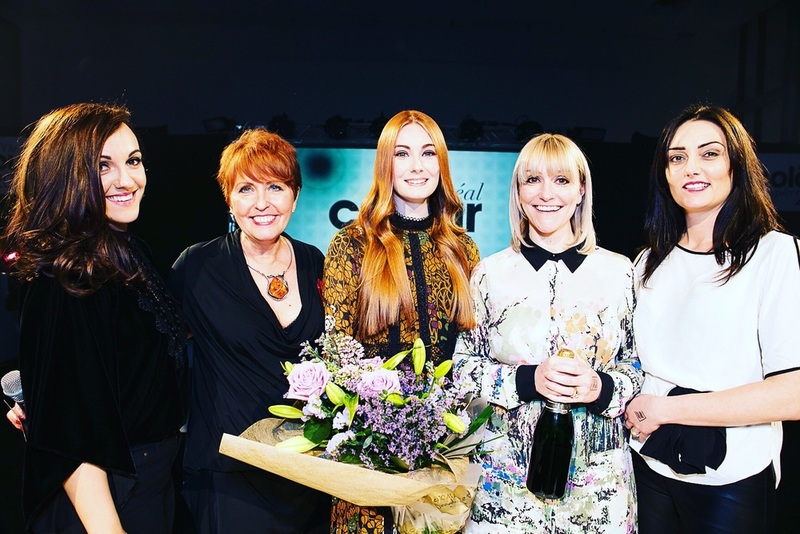 Now, after 1000 initial entries and 540 regional finalists later,Harrison Hair Studio is one of just 36 nationwide salons who will now compete to win The L'Oréal Colour Trophy Award (Women’s Image). On Monday 13th June, 2016 the team will have to complete one final challenge to win the prestigious award as they compete against the winners from the other regions for the top title. The Grand Final show promises a thrilling and inspirational evening featuring spectacular hair shows by some of the industry’s most illustrious names in hairdressingfollowed by a 5 course dinner and the awards presentation.